As a leader in the energy field, Génitique’s mission is to provide innovative solutions that combine engineering, construction and specialized products customized to the requirements of the hydropower and industrial sectors. 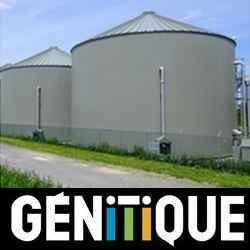 Organic waste recovery is an expertise that Génitique is proud to master, develop and promote. Producing biofuel and a range of fertilizers from material that is usually shipped to landfill sites is a worthy endeavour for the sustainable development of our communities in their environment and entirely consistent with the values espoused by Génitique. Since 1987, Génitique has made innovation its touchstone by combining the strengths of a consulting engineering firm, a contractor’s ability to deliver, and the benefits of an equipment manufacturer. The synergy of all three divisions allows us to create integrated solutions while minimizing the number of stakeholders and reducing lead time, in addition to encouraging client involvement throughout all project phases. Génitique Engineering is recognized for its sound, cutting-edge technical expertise in the hydropower and industrial sectors. Génitique Products develops, designs and markets high value-added products specifically for industrial machinery, equipment and processes. Génitique Construction carries out projects as an electrical contractor and general contractor in order to implement the innovative ideas of the other divisions. Our firm’s activities revolve around the hydropower sector. Supported by recognized expertise, our specialties are dams, generating stations, water intake and spillways for both private power producers and public utilities. From major structures to mini-generating stations, Génitique applies its know-how by applying effective solutions. A mastery of high-level technical skills enables Génitique to deliver its innovative services for low-, medium- and high-voltage (735 kV) electrical substations. The firm’s expertise has been growing since 1987 in the heart of a region known for its abundant natural resources and its industrial character. 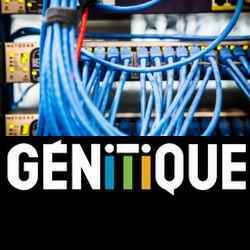 Génitique is here to serve this industry and provides distinctive expertise in automation, industrial IT systems and machine design. 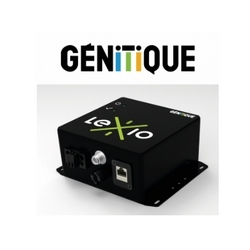 Génitique focuses on competency and cutting-edge knowledge to fuel its development and long-term sustainability. After all, these are the attributes of every passionate professional! What sets the team at Génitique apart is its passion, a desire to achieve more and to make their mark in highly specialized areas while benefiting from a pleasant work environment. Whether you’re looking to design, fabricate, improve, refurbish, install or commission an innovative project to support the future of your industrial business, our experts are ready!